We have put together an excellent group of free rental agreements and free lease agreements that you can download. These free rental agreement and free lease agreement forms will save considerable time when you need to rent or lease an apartment, residential home, commercial property, boat, machinery, storage space and more. You can download our Free Lease Agreement and Rental Agreement forms 24 hours/day. 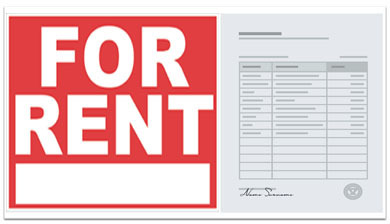 Download 18 Rental and Lease Forms in a Completely Editable Microsoft Word Version. The Microsoft Word version can be fully edited and customized on your computer. Download the 18 Fully Editable Word version Rental and Lease Forms. These agreements are free for you to use as you wish except for redistribution or uploading them to other websites. In many cases you will not have to due much editing to the forms. Obviously a storage space lease and rental application is much simpler than a commercial lease agreement or residential lease agreement. Not only are they more complex, but one must consider local, state, and Federal laws that apply to the housing and commercial real estate industry. Because of this you should consider having an attorney look over your free rental agreements for residential and commercial property to make sure you are in compliance with the law. You should also pay special attention to the eviction notice form if you decide to use it as there are specific procedures you need to follow so you do not violate the laws in your state. Even if you have an attorney review and or edit your completed agreement you will save money by having all your written information in place before your meeting. The free lease agreement and free rental agreements listed on this page are given to you with the understanding that we are not providing any type of legal advice. Our company is not a law firm and cannot advise you on what free rental agreements or free lease agreement you should use. They are given to you for informational use only. If you cannot find the specific form you are looking for we suggest you look over other areas of our website as we offer many free forms. Select any lease agreement or free rental agreement for free.